Monel Alloy Coils, Monel Plates, Monel Circle, ASME SB 127 Monel Plate, Monel Plates, Monel Alloy Sheets, Monel Hot Rolled Plates Supplier in Mumbai, India. Monel Sheets, Monel Plate Exporter, Monel Cold Rolled Plates, ASTM B127 Monel Shim Sheets, Monel Sheets Dealer in India. Ganpat Industrial Corporation offers a widespread range of Monel Alloy Sheets Plates and Coils, which has some outstanding features to offer such as durable, fine finish, accurate dimensions and so on. Also, our crew members make it a point to inspect these Monel Sheets on severe quality limits in order to be sure of their faultless toughness. We deliver Monel Plates into the open are about by means of accuracy by our expert specialists who ensure to use best stainless steel in the industrial procedure. 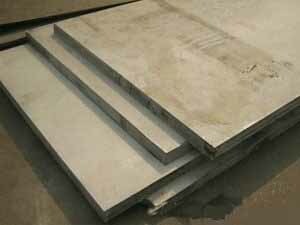 We also offer the same in different grades such as Monel Alloy Sheets Plates Coils and Monel Alloy Sheets Plates Coils. With respect to our rich industry knowledge, we are supplying, trading and manufacturing these Monel Coils. 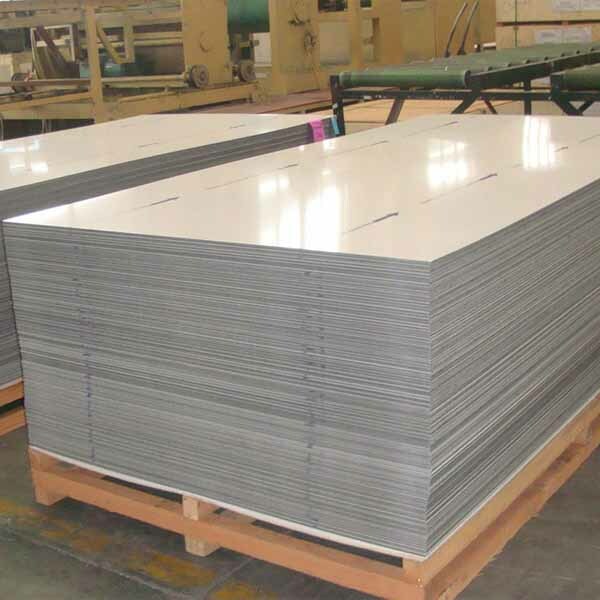 Meanwhile, these Monel Alloy Sheets are also being offered in different sizes and shapes to our customers. Unlike carbon steel, Monel Alloy Plates does not rust when exposed to air and moisture due to the sufficient amount of chromium present. Due to its high performance, Monel Alloy Coils have become the steel of choice for corrosion resistance and versatility. The chromium in Monel Slatting Coils creates an invisible passive film of chromium oxide that will not let oxygen attack the surface and prevents rusting of the iron base. After the first machining pass, work hardening in Monel Perforated Coils tends to plastically deform either the work – piece or the tool on subsequent passes. Monel Polished Cold Drawn Plates, Monel Plate Stockholder, Distributors Of ASME SB127 Monel Coils, Monel Strips Stockist, Manufacturer. We do care about the quality of our products even some little details are paid attention to. Each order is packaged according to the customer’ s standards including preparation for export such as wooden case, pallet or according to customer’s requirement All shipping documentation is provided for Monel Sheet, Plate and Coil delivery from mill to customer. Every assignment begins with a visit of our experienced sales representative who assesses the volume / weight of the belongings and brief the client about the nature of packing required as well as various documentation formalities when moving from India. monel sheets exporter in India, monel plates Exporter in India, monel chequered plate, alloy coil stockholder, monel UNS N04coils, monel DIN 2.4360 sheets, monel plates, coils, monel alloy plates, monel alloy shim sheets, monel sheets price, monel plates price india, monel sheet, alloy sheets specification, monel alloy hot rolled plates dealers, monel cold rolled sheet distributors, asme SB168 alloy sheets Suppliers. Dallas, Visakhapatnam, Dammam, Hyderabad, Howrah, Ernakulam, Cairo, Ankara, Edmonton, Toronto, Bogota, Abu Dhabi, Perth, Tehran, Colombo, Sharjah, Thane, Lagos, Noida, Doha, Ludhiana, Atyrau, Nagpur, Chiyoda, Manama, Bangkok, Nashik, Bhopal, Singapore, Santiago, Vadodara, Milan, Baroda, Brisbane, Ranchi, Al Khobar, Indore, Ahmedabad, Hanoi, Ho Chi Minh City, Rio de Janeiro, Seoul, London, Jakarta, New Delhi, Al Jubail, Kanpur, Kolkata, Pimpri-Chinchwad, Ulsan, Haryana, Jamshedpur, Kuala Lumpur, Lahore, Karachi, Ahvaz, Navi Mumbai, Gurgaon, Petaling Jaya, Busan, Calgary, Riyadh, Moscow, Montreal, New York, Jeddah, Rajkot, Caracas, Granada, Mumbai, Surat, Vung Tau, Secunderabad, Muscat, Los Angeles, Faridabad, Melbourne, Coimbatore, Algiers, Courbevoie, Madrid, Chennai, Chandigarh, Mexico City, Kuwait City, Gimhae-si, Jaipur, Sydney, Pune, Bengaluru, Aberdeen, Port-of-Spain, Dubai, Houston, La Victoria, Istanbul, Geoje-si, Hong Kong, Thiruvananthapuram. Trinidad & Tobago,Tunisia, Gambia, South Africa, Bangladesh, Switzerland, Iran, Czech Republic, Turkey, Costa Rica, Belarus, Netherlands, Iran, Nepal, Belgium, Argentina, Chile, Indonesia, India, Australia, Thailand, Peru, Algeria, Ireland, Lithuania, South Korea, Angola, Kenya, Venezuela, New Zealand, Tibet, Iraq, Puerto Rico, Portugal, Ukraine, Spain, Sri Lanka, Macau, United States, Afghanistan, Bahrain, Brazil, Yemen, Saudi Arabia, Zimbabwe, Taiwan, Italy, Chile, Nigeria, Romania, Qatar, Kuwait, Germany, Vietnam, Azerbaijan, Lebanon, Russia, Poland, Denmark, United Kingdom, Morocco, Nigeria, Finland, Kazakhstan, Oman, Estonia, Norway, Bhutan, France, Philippines, Mongolia, Israel, Canada, Libya, Singapore, Egypt, Austria, Japan, Slovakia, China, Sweden, Hungary, Ecuador, Malaysia, Colombia, Mexico, Serbia, Pakistan, Hong Kong, Bulgaria, Bolivia, Greece, Gabon, Jordan, Ghana, Namibia, Croatia, Mexico, United Arab Emirates, Poland.